The East Coast provides some of the best diving available in the U.A.E. Currents from the Gulf of Oman and Arabian Sea provide warmer waters and tropical fish. Al Boom Diving maintains a permanent centre on the East Coast at Le Meridien Al Aqah Beach Resort. The centre is based pivotally to the main East Coast dive sites and is just a 10 minute drive to the local harbor. 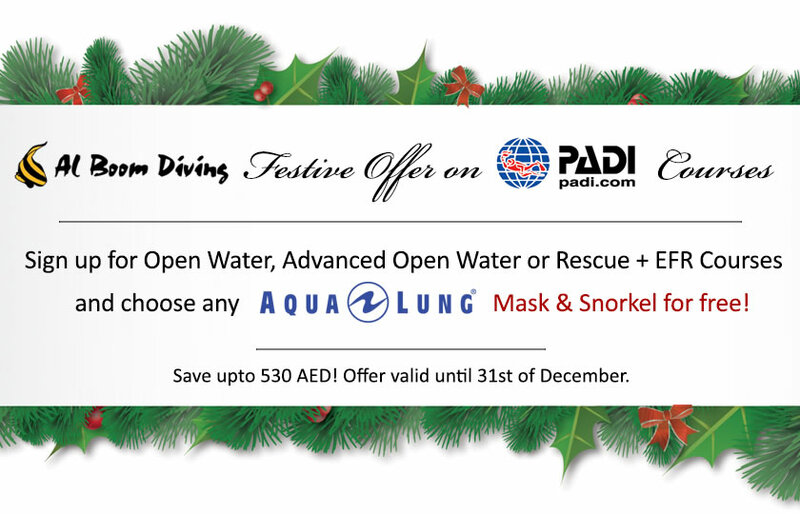 This package includes one night dive off the beach of the Le Meridien Al Aqah with full diving equipment (excluding torch).